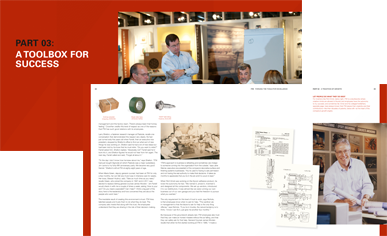 Illinois Tool Works, a global diversified manufacturer, wanted to communicate its centennial to the 60,000 employees around the world in a way that would showcase ITW's vibrant and innovative corporate culture—and be cost effective. 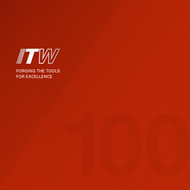 We developed an integrated publishing program for ITW that gave the company flexibility as well as impact. ITW could make use of an exciting communications program that served not only as a vehicle for celebrating its milestone anniversary but also had useful outreach and marketing applications. We first developed a 20,000-word manuscript that highlighted the strong guiding principles and decentralization that have marked ITW's growth throughout the past century. We commissioned day-in-the-life photography from several business units throughout the U.S. and Asia and photographed hundreds of archival photos, objects, and documents. The text and imagery formed the basis for an 80-page book with a print run of 10,000 books, hundreds of which were given out at the company's anniversary celebration. To allow the book content to be shared with all 60,000 of ITW's employees around the world and also be used by ITW's representatives, who employ iPads out in the field on a daily basis, we designed and executed a dynamic app for the iPad. The app presented and expanded upon the book content by allowing users to tap on imagery for further features, including short videos. The app was made available for free download on the iTunes App Store, a link to which appeared on ITW's Web site. A Flash-based version of the app was streamed on ITW's Web site. 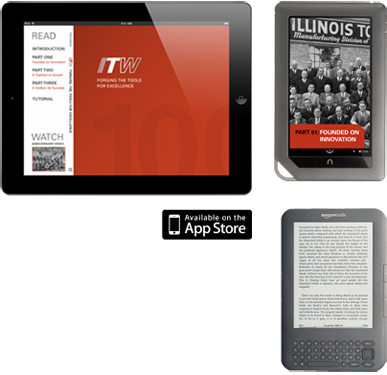 The app for iPad was redesigned to fit the screen size of the Kindle Fire and Nook Tablet, and a high-resolution PDF was made available for download from ITW's Web site. For the Kindle reader, we created a simple text-only ePub, which was also made available for download on ITW's Web site. After the research for the book was complete, we interviewed key corporate leaders as well as individuals at several business units. 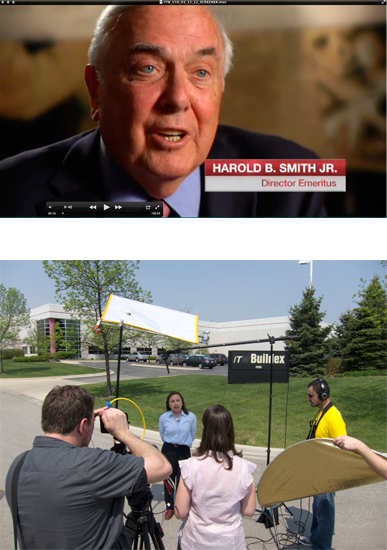 We also captured day-in-the-life footage of employees at work and interacting, and combined it with archival footage from the corporate archives to create 6-minute and 2-minute videos celebrating the company's history and culture. Printed DVD cases were made available for distribution to stakeholders, and streaming video was posted to ITW's Web site.